It seems the news is littered with examples of “deadbeat parents” who do not pay their child support obligations, or ex-spouses who fail to promptly pay spousal support to the other party despite a court order. Some may avoid such obligations because they would rather keep the money for themselves; some may do so to spite their ex-spouse and/or children. Still others may be struggling to make ends meet and feel they do not have the resources to pay the order. Amongst this latter group are some individuals whose income consists of benefits received after military service or payments from the Social Security Administration. These benefits (sometimes called “entitlements”) are awarded to individuals who meet certain requirements such as income limitations, “credits” for previous work, and the existence of one or more disabling conditions. For those persons receiving entitlements, it may seem daunting and scary to take these limited benefits and pay child support or alimony obligations. For one reason or another, some may refuse to pay. These individuals should be aware, however, that the court can garnish some of these benefits and use the amounts garnished in order to pay child support and alimony obligations. This can wreak havoc on finances that may already be stretched thin. Simply speaking, a “garnishment” is a court order directed to an entity that sends a person money or benefits (such as an employer or the Social Security Administration). The order usually indicates that it is an official order of the court and directs the agency or company to withhold a designated amount from the obligor’s pay or benefits and send those amounts to a designated person, agency, or company. All of this can be done even over the objection of the obligor; that is, even if the person who owes the obligation does not agree to his or her pay or benefits being reduced, a person or company served with a valid court order (called an “income withholding order”) must comply by withholding the designated amount. Can a Court Garnish My Social Security Benefits? Depending on the precise type of Social Security benefits an ex-spouse is receiving, a Florida court may be able to garnish those benefits in order to pay for child support or alimony obligations. There are three types of “benefits” that are administered by the Social Security Administration. The first type of “benefit” is Social Security disability benefits (sometimes referred to as SSD benefits). These benefits are awarded to a worker who becomes disabled and is no longer able to work. The amount of the benefit the worker receives depends on the number of years the worker has been on the job and the amount he or she has paid into the program. The second type of Social Security “benefit” is Supplemental Security Income (often abbreviated as SSI benefits). These benefits are also awarded to individuals who are disabled and unable to work; however, unlike SSD benefits, SSI benefits are not based on the recipient’s work history. Instead, these benefits are given to help disabled individuals meet certain basic living expenses. The final type of Social Security “benefit” is Social Security retirement benefits. As the name implies, these benefits are paid to workers upon their retirement. The amount of benefits received by the worker depends not only on the age at which the individual retires but also how long the person has worked and how much the worker has paid into the Social Security program. A general rule regarding Social Security payments is that these benefits cannot be used to pay off consumer debts. For instance, if Alejandro is receiving SSD or SSI benefits (for example) and he defaults on a car loan, the bank can sue Alejandro and win a judgment in their favor in the amount of the car loan. However, the bank may not ask that – and a court may not allow – Alejandro’s SSD or SSI benefits be garnished to pay off the judgment. However, there is an exception to this general rule, at least as far as Social Security retirement benefits are concerned. When it comes to unpaid spousal support or unpaid child support amounts, the Social Security Act does allow for the garnishment of benefits to pay these obligations (a court may still not garnish SSD or SSI benefits). Veterans who serve our country deserve and are entitled to certain benefits when they leave the military service. These benefits can include retirement benefits, designed to provide for the daily needs of those who have served, as well as disability benefits for those who have served and have suffered disabling injuries while doing so. Like Social Security benefits, veterans’ benefits – both retirement benefits and disability benefits – are generally immune from garnishment and cannot be taken by most creditors (such as banks and credit card companies). While veterans’ disability benefits cannot be garnished to pay outstanding child support or alimony obligations, veterans’ retirement benefits can. In other words, if a veteran is receiving benefits that are designated as “retirement benefits” in that they are awarded based on the veteran’s years of service, then those benefits can be garnished to satisfy a child support or alimony obligation. If the benefits are received by the veteran because a military-connected agency has determined the veteran to be partially or totally disabled due to an injury sustained while serving, then the benefits cannot be garnished. A problem for veterans may arise if the veteran chooses to receive disability benefits in lieu of retirement benefits. In certain circumstances, a veteran may be permitted to choose between receiving veterans’ disability benefits and retirement pay. It is common for a veteran to choose the benefit that affords him or her a greater benefits check. But if a veteran chooses to waive or forego receiving part of his or her retirement pay in order to receive disability compensation, then the portion of retirement pay that was waived can be subject to garnishment (subject to the limits imposed by law). For ex-spouses to whom a child support or alimony obligation is due, sometimes seeking and obtaining a garnishment is the only way that they can receive payments from the other party. Although there is no requirement that a party use an attorney’s services in order to obtain a garnishment, retaining an experienced Florida family lawyer can make the process easier. Not only this, but an attorney should be able to spot common issues that could delay the receipt of the garnished funds. Negotiate an agreement with the other party. 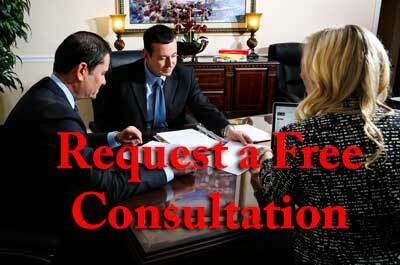 The party who requested the garnishment has the ability to remove the garnishment as well. The obligor ex-spouse can try to negotiate with the other party to see if they can reach an agreement in which the obligor spouse may agree to pay a certain amount right away in return for the garnishment being lifted. Pay the amount of the garnishment. Garnishment orders should specify the total amount that is being garnished. Payment of this total amount will cause the judgment to be satisfied and the garnishment to be lifted. Make sure the funds being garnished are not exempt. Having one’s bank account frozen and the money in the account garnished is possible and can be quite unnerving. If the money being garnished comes from Social Security disability benefits or veterans’ disability benefits, then a garnishment should not have issued against these benefits at all. Often all it takes to correct the situation is to show the judge that the funds being garnished are exempt under the law and the garnishment order should be lifted. Be aware that this is not always as easy as it sounds. If one’s benefits are deposited into an account into which other sources of income are deposited (such as from a part-time job), that person will need to show the judge evidence concerning what funds are exempt. Examine the judgment for defects. A lawyer can examine the documents in a particular case, especially those pertaining to the judgment itself. If there is a defect in these papers – for instance, if the obligor spouse was not notified that there was a hearing at which an order may issue against him or her – then the garnishment may be able to be lifted. Note, though, that this typically leaves the other spouse free to correct the defect and refile his or her request for a garnishment. be commended. But not everyone who does not pay child support or alimony obligations does so because of ill will or hostility. Sometimes a person simply feels his or her income is so low that he or she cannot afford to make the required payment(s). This can be especially true where the obligor ex-spouse receives benefits and/or entitlements and is therefore on a fixed, limited income. Regardless of the reason, an ex-spouse who has an obligation to pay child support and/or alimony and does not do so risks having a garnishment issued against him or her. These garnishment orders can direct the obligor ex-spouse’s employer or payor of benefits (like the Social Security Administration or VA) to withhold a certain amount from each check paid to the obligor ex-spouse and instead send that money to the other party. Or a garnishment order can direct a bank to freeze an account belonging to the obligor ex-spouse and turn over the money in the account to the other party. For an obligor ex-spouse surviving off of benefits and entitlements, either type of garnishment can be financially devastating. Social Security benefits and veterans’ benefits have both retirement benefits that are payable in certain circumstances as well as disability benefits payable to those who are unable to work. The general rule concerning these benefits is that they cannot be garnished to pay “ordinary debts” such as credit cards, bank loans, and car loans. However, concerning benefits designated as “retirement benefits,” these benefits and entitlements can be garnished in order to pay past due child support and alimony obligations. Although a party seeking a garnishment order does not need an attorney, obtaining these orders can pose some difficulty. An attorney can help such a party by examining the facts of the case and presenting the request for a garnishment order in such a way so as to avoid common pitfalls that can delay the garnishment or cause it to be denied altogether. An obligor ex-spouse whose benefits or bank accounts have been garnished should also seek the help of an experienced attorney. There are several ways in which a garnishment order can be lifted, but some of these require a detailed knowledge of the law and an ability to persuasively present the facts and law to a court. Thank you Jeana for helping bring my Boy Home 🙂 I could not begin to thank you enough. We look forward to better days for sure, thanks to you and all of your help. Thank you for being so fair and for working with our Family through these tough times. God Bless you!! 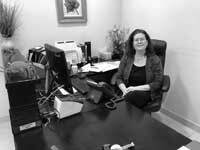 Jim helped me with my estate matters after my divorce. He was fast, efficient and compassionate during a not so pleasant task. I knew I was in good hands. I would use him again in a heartbeat.